popping up that look suspiciously like ants. b. confess to the bugs and implore them to eat it anyway? This is a video of the NT Dedication that I worked on the AudiBibles for, was scheduled to go to, and then through family circumstances was unable to attend. I'm thankful for the PNG Experience who documented and produced this video. In it you'll see several of the people I worked with to form a small part of accomplishing this huge project. I'm rather excited about this, and proud. It's not every day that you get to see the fruit of what you've done, and you, our friends and supporters, get to celebrate in this, that you have helped accomplish it. 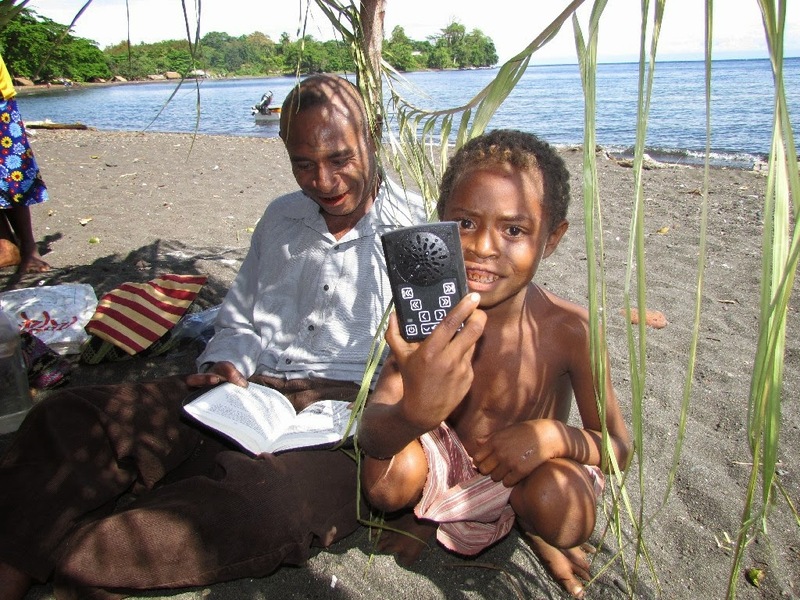 father and son with their first Audio Bible. (arop-lokep NT that I helped to record and build). 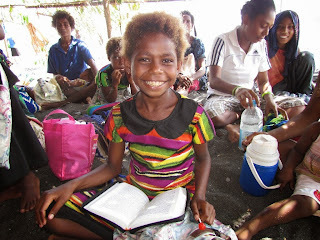 young girl with her first 'heart language' new testament. These people are seeing and hearing God's word in their language for the first time. Never again will the Arop-Lokep speaking people know a time when there is no Word of God available to them. While my child has a hard time envisioning a past without cell phones, these children will have a hard time remembering a past without something infinitely more valuable, Christ's Words. It is the tradition of our small-town school to have the last day of school be a day of saying 'goodbye'. They construct a wall of graduating seniors, those leaving furlough of any grade, and those leaving finish of any grade. And then the remaining students form a line, that goes through the 'wall' of those leaving and they say their goodbyes. It takes hours, as some goodbyes are more emotional and take more time than others. The kids don't really look forward to this day, because it is so emotional. But I am glad that the school does it. The school is setup with 2 campuses. The first campus is K-6. The second campus is middleschool and high school. The community revolves around the school. It is the reason we assemble here and headquarter our mission in this country here. It is an academically high achieving school even though enrollment is relatively low. The senior class is around 25 kids or so. They are small classes. Many events happen at the school so the kids grow up watching the older students. They go to the awards ceremonies, the sports tournaments, the graduation. The kids here are way more plugged into their school at a young age than I ever was. I can't imagine going to a graduation ceremony voluntarily when I was in 5th grade. Yet Sydney and Calvin love to go to these things and see their friends get awards and do well. The volume level when people cheer for awards like Citizenship, will deafen you. The enthusiasm for others to do well is overwhelming. The kids not only become good friends with their classmates, but also the upper and lower classmates. It is a small town mentality, and everyone knows everyone. Everyone has a reputation, and most likely has spent time in their house with them or their siblings. It is a huge family atmosphere. We pray for each other when someone breaks a leg or has a medical issue. We bake cookies, we work side by side. "Close Knit " doesn't really describe it, it's more like, close-knit out of wool, and then the wool sweater gets wet, and shrinks, and gets even closer. It's like that. It's wet-wool-sweater-close. Last furlough, Sydney had to say goodbye to dear friends who would not be here when she returned. This furlough my son is saying goodbye to his 3 closest friends in the world. 1 leaves this week, 1 leaves next week, and 1 leaves in a year. But Calvin leaves in 6 days, and won't be returning for a year, so it's all the same. That's a lot of goodbyes. The Wailing wall tradition is hard, and time consuming. Sometimes you are stuck in line next to someone you don't know well enough to spend 10 minutes saying goodbye to, but because someone is ahead in the line next to their dearest friend, things slow down. It has its faults. But I like it. It forces the kids to face the emotion of transition. Everyone adult alive today can probably remember a very sad 'goodbye'. Maybe it's your own high school graduation. Imagine having the emotion of high school graduation, EVERY YEAR for your entire school career. (starting in Kindergarten). It's rough on the kids. and this year, to boot, life heaped on the loss of their grandfather. And then, we throw them on a plane, and go to a different country…. Needless to say, after today's Wailing Wall, I sat the kids down and helped them process the emotions. They both seemed sober and sad, but then mix in that school is over, and they're going home soon, and there's this hodgepodge of excitement, nervousness and sadness. That's a LOT to ask of a kid. But Calvin and Sydney have gone through much of it before. We've had expertly trained people meet with them in the past and say they are emotionally capable of handing it well. Their well being is our utmost concern. (this life has many UP sides that are GOOD for them, so it does balance out, and if you ask them, they do love it here. Not all kids do, but so far, our kids do). Kendal and I make sure to spend time with them and process. The wailing wall, for all its flaws, is a neat tradition. It provides closure. What 13 year old talks like that? Has that depth of understanding of temporal earth existence? I continue to think my kids have stronger character than I did at their age. They impress me. I thank all of you who pray for them for their transition stress. I know you're out there praying for them and have for many years. Perhaps that is why they tend to be able to cope with this lifestyle so well. If you think about it, please add a few extra prayers. Both Kendal and I are pretty sure that the moment they see Grandma Diana, the reality of losing Grandpa is going to hit them hard. I'm glad that we will be heading to his memorial service soon after landing, so that they can spend some time grieving. Next stop, packing up the house and moving out. After that, boarding a plane and trekking home. IF it seems like we are enjoying ourselves, it's because we are. The team is working well, we didn't make stupid mistakes, no one got hurt, the building was isolated and so all of that together meant there was little threat of this fire turning horrifying. It is good when things go this well. It could have easily been a horrible experience, but it wasn't. That is why we look as if we're enjoying this. Having responded to a few nasty ones, I feel able to enjoy the easier ones. Oye, it's like a Sauna in Here! 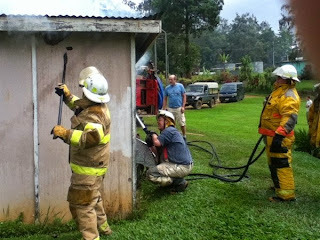 The one in the white helmet and white pants is me holding the hose/sledge is me. This morning I had a long list of 'to do' items to prepare for leaving the country. I was surrounded by boxes when the fire phone rang. I stepped over some boxes slowly, assuming it was another wrong number. "The Sauna is on fire." 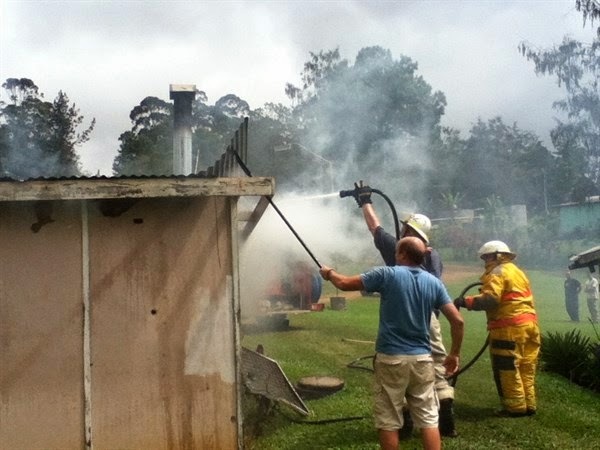 Now if you're from the U.S. the Scandinavian habit of Sauna (sah-oona) may be foreign. Or it may conjure up imaged of luxurious rooms of cedar wood. Here it's more like a small shack with a stove in it. Before you knew it I was flying down the road, meeting the 3 other firemen on our crew. (we're short handed right now). I quickly through on my bunker gear (thanks to those who donated) and jumped on the back of the truck and we were gone. We got there and it wasn't a huge blaze, but it was threatening to burn down the entire building. The team worked well together. there was a crowd of people around. Ron was on hose, I was his backup. Paul was on truck. My first big inhale of the smoke burned. You tend to get lung fulls every now and then. We do have donated breathing apparatus but we didn't need it. Michael and Loren were prying up the roofing, and I was able to hose down inside without using a ladder. 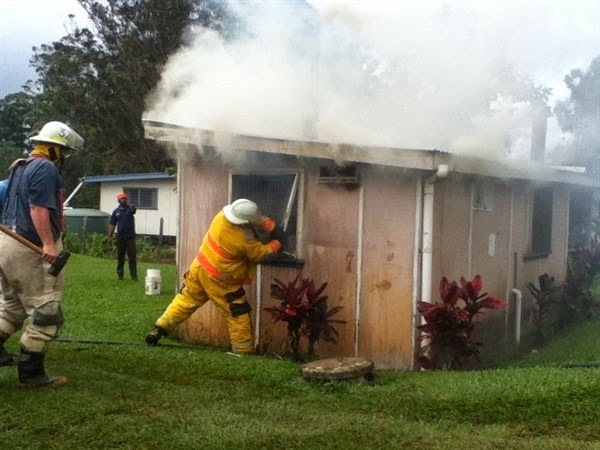 We were a good team, things went well, no one was hurt, and the building (minus some damage) was spared. At one point Ron shouts 'Chad, get this door open for me!' Door smashing and hole making is sort of my expertise. I felt the door, it was warm to the gloved touch. The handle wasn't. I was able to open it without sledging it open. All windows have arc mesh wire over them, so I took out a windod with the sledge and some bars, which Loren then tore off the remaining. We vented it well, had each others back. Here you also have to guard the truck from theft. We rotated and reacted as our training had taught us. And it went really well from our perspective. I think with a little bit of work they'll be able to rebuild that sauna. After it was all over, and we debriefed, it hit me, that this was the last fire call I'd respond to for a year. And also, how much easier it is to fight fire weighing 55lbs less than I used to. There's a reason firemen stay in shape. All in all, an unexpected adventure, but at the end of it, we were left feeling like we had helped and served the community. For those that don't know, our community is a small 200 house area that is so remote we have very little access to emergency services. So men like myself and others, volunteer for various emergency teams. We have an old japanese firetruck that we retrofitted to hold more water. We don't really have that many hydrants around, so for water we use the truck which will go for 30 minutes before empty. After that we poke holes in water tanks, only, it hasn't rained in days and so water is really low. We are our own emergency services. I was asked 7 years ago to join the team and I did. 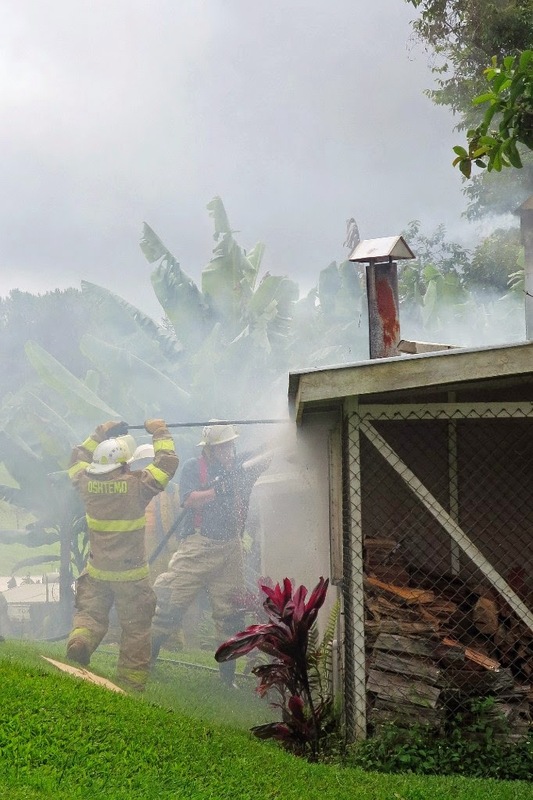 I knew absolutely nothing about fighting fire, but with monthly (or semi-monthly) training, I learned how to handle the truck, the hoses, how to attack a fire, and have actually responded to a dozen or so fire calls, including 3 burning buildings. It's just another way to serve the community. After all, if we don't volunteer, then when you have a fire out of control, who do you call? 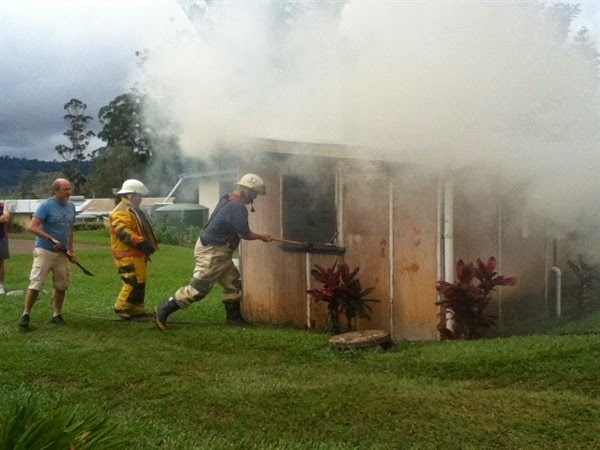 You've exhausted your home fire extinguishers… then what? Walk out while you watch your house burn down? Nope, if you live near us, you can call 4222 and we will respond. us through all the airports we have to go through. babysit, etc... but we can't do that because we'll get them all sick. So the last week here is looking like a week of social isolation. We need this sickness to go away. Do you remember that first month out of school, or out of your parent's house? "Gotta find a job! Gotta find a place to live! Gotta get a car!" That scramble you went through to get your adult life started. Maybe you kept the car you had in college, maybe you didn't. Maybe you had headhunters calling you for jobs, maybe it took you a long time. But that initial scramble of trying to get your life in order, is something most of us never forget. If life went on the path that the storybooks tell us it will, you'll never have to repeat that time. But some do. Missionaries being one of them. Every few years, missionaries need to start their lives over. It's called Furlough, or 'home leave'. People who don't fully understand 'furlough' hear that word and think 'vacation'. But for those who have lived it, most of them think 'diffcult and costly time of total chaos'. On THIS end of the globe, one weeks before furlough is known as chaos week. Transition is hard in every way. -financially - Many missionaries lose some percentage of that personal face-to-face contact that encouraged churches and individuals to financially partner with them. Furlough is a time to re-connect with old partners, communicate what you've been doing, and meet new partners to match the rising cost of living. (no one gives you a raise, you have to RAISE your own support). -emotionally - Many missionaries need a recharge of their passion, their vision and energy. They've just said goodbye to a difficult lifestyle, but also to dear friends and the people they were ministering to. They need a safe environment to recharge emotions, but because of culture-shock and the fact that in the last few years their home-country has changed and friends once integrated, have learned to adapt without you in their lives, often then find that the grass is not always greener, and can leave you feeling deflated. -spiritually - there isn't a lot of good pastoral teaching in some mission fields. Also often several people are coming off the field with questions about God's direction for their life. -physically - it's a time to visit doctors and dentists and chiropractors, to purchase tools, housewares and other items unavailable. -relationally - seeing friends and family is a boon to the psychy, and for me, the best part of furlough. It can also be tough to adjust to the realization that children grow up fast, people age, and you've missed out on many things (as is evident by it taking a while to understand all the conversational context.) thankfully though, this is one area in which you don't really have to "start over" because family and friends tend to pick up where they left off. Imagine your life if you could not shop. Imagine that your family decided to put off all non-grocery purchases for 1 year. Imagine that you could not purchase 1 new thing for your family for an entire year. No new shoes for your kids, no new pants for you. No new socks, no new sheets. No new anything. Now imagine the long list of things you'd have to buy after that year were over. You'd have an exhaustive list of 'must gets' and 'want to gets'. Imagine in that same year you never went to the doctor or the dentist. Suddenly your next year would be full of activity. You'd be a flurry of shopping and visitation. It would be an expensive year for you. Every 3-4 years, missionaries become that broke, just-out-of-college student. They have debt because they had to fly back to the U.S. They have to restart with a job (raising support), a place to live, and car. Does any of that sound like a vacation? Imagine you're the kind of person who doesn't like spending money, nor likes shopping. Imagine you're the kind of person who goes a little crazy if they don't have their regular job to go to every day. Does that sound like a vacation? It simply isn't a vacation. There are definite perks to being in the U.S. , but it isn't all perks. So the next time you meet someone on furlough, instead of responding with the attitude 'oh, how great for YOU! Are you enjoying the break?" perhaps respond with "you must be exhausted, is there anything I can do to help?" I'll tell you, finding someone who understands your plight in this world, is like gold. It's like a calming pool of clean water, refreshing. 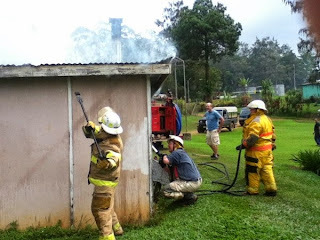 I write this blog entry, as always, to help people who desire to understand... understand what it is like being a missionary. And I encourage questions and curiosity. Who knows what God will one day convince you to do? store occassionally has them, but they are a tad pricey. Bingo Sour Cream sources from the yard. As I was stirring I had a flashback of some brand.. I think it was IMO? Which I think is funny because now IMO means 'in my opinion'. herb garden, chopping it up…. output very little trash because we don't use pre-packaged food often. available just here in our own yard. updates from email so it's quick and free. We're about to hitch up our wagon, and head out of town. It'll be 2 Mondays from today. While I was going through photos and making backups to take home, I came across this old photo from the Christmas the kids opened their first Radio Flyer wagon. Over the years we've put that wagon to great use. It was so useful we even took it with us to PNG! Amazing! In fact, the other day as I was using it to haul some wood across the yard, it dawned on me that it might be fun to recreate that old photo. This wagon has traveled over 6700 miles in 13 years, across 3 different yards. It's hauled everything from sand to bananas, and we used to strap the kids in it and haul them around too. Testament dedication which is happening as I write this. The dedication promises to be remarkable! A once in a lifetime memory. their 'as ples' (their homes). left. That thing that symbolized and earmarked this term's ministry. accomplished! Celebrate." It was going to be cool. But I'm not there, and here's why. said "Dad, when you're gone in 2 weeks, who will be with us?" something they wanted to be. wonder about the other close males in their lives. wait to see video and pics and to share them with you. totally awesome and wonderful fruition of years of labor by many people. hand, because I opted to care for the emotional needs of my kids. I gotta go finish making pancakes for the kids. heart language for the very first time! That is awesome! No one asks me this. "Are you crazy?" But I wonder if they think it. I know I did. When we decided to move overseas the word 'crazy' definitely surfaced. Following a calling can often appear as if you're rejecting everything the world says makes sense. God can work with crazy. Is it crazy to be willing to bring your family of 6 kids to PNG? Really, they're actually going? Why? Though I've not recently heard anyone directly question me about our return to Papua New Guinea, I have heard that there are some people who are concerned that we are returning with all these children, and more specifically, with Seth who has had so many troubles. First of all, I do understand the concerns that people have. I, too, have questioned and wondered whether this is the correct step for us to take. God has made it quite clear to us in many ways that this is what He has in store for us at this point. We have seen piece after piece of the puzzle come together pointing us toward returning "home" to our work in Papua New Guinea. We have had questions and concerns about the health of the babies, funds for daily life there, proper housing in Ukarumpa, and other small, but significant things. One by one our concerns have been allayed more quickly and in ways we never would have guessed. Seth's health is by far the biggest concern and we would definitely not be going if we did not have the blessing of his doctors. The pulmonologist here in Texas who has been following him since his initial discharge as well as the one in California both agree that they don't see any reasons that he cannot go to PNG given the level of health care that can be provided at the clinic that is less than half a mile from us. Our doctor in PNG has agreed as well that they are happy to have us, and more specifically, Seth, return to live there long-term! That is a huge affirmation for us. Missionaries (and most anyone else who has made a significant, life-changing decision to follow Christ's leading) will tell you that they almost always see Satan working hardest against them when they are preparing to go back to the mission field. The last few weeks before departure and the first few weeks there often are full of challenges and unexpected turns of event's. Interpreting these as God answer of "no" versus Satan's spiritual attack is not always an easy thing. We are trusting God and the Holy Spirit's leading that we are following him in the steps he has laid out for us. Many people think we are returning to a life of hardship and struggle and living overseas for us is a real test of endurance. In some small ways that is true. There is the constant stress of cross-cultural living (which is a healthy thing, but an added stress nonetheless). We experience increased awareness/anxiety about the security situation, the severity of which waxes and wanes in its own seasons. We have much more limited access to supplies, entertainment, family, and other niceties that we enjoy in the Western world. 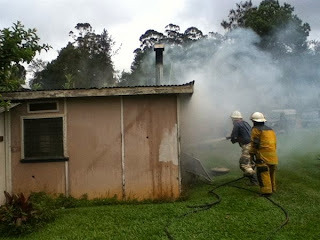 All the above is true, yes, but we truly love living in Ukarumpa and PNG! We have many close and caring friends and a wonderful, supportive community that is joined together for the same purpose. We have fulfilling work that is done in support of an eternal cause. 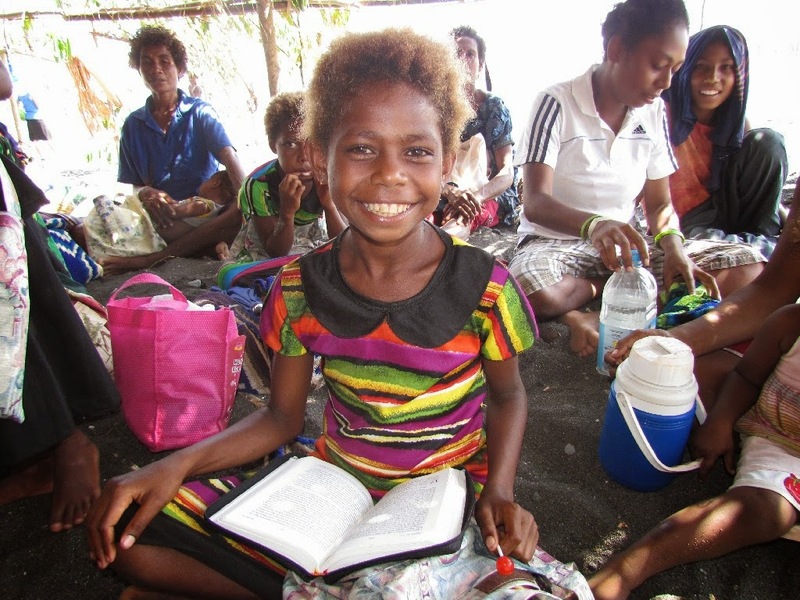 We are surrounded by so many Papua New Guineans there, many of whom may have never seen Christ's love acted out in real and meaningful ways that may help point them to Jesus and produce a changed life by the power of the Holy Spirit. And a large number of these people have never heard nor read the Word of God in the language they grew up speaking. We have the joy of being a small part of that work! We leave in three days! And we are excited! We are going home! We love you all and are eternally grateful to you for your love, care, prayers, thoughts, gifts, words, letters, etc. Thank you from the bottom of our hearts! 10 hamburgers cooked then frozen. Hopefully I'm set for a while on meals, because I'm tired. and don't worry, I did go to market and picked up fruits and veggies! yes... this is my life lately. Just trying to make it to the end of June.